Check out this crazy snowman scene outline. 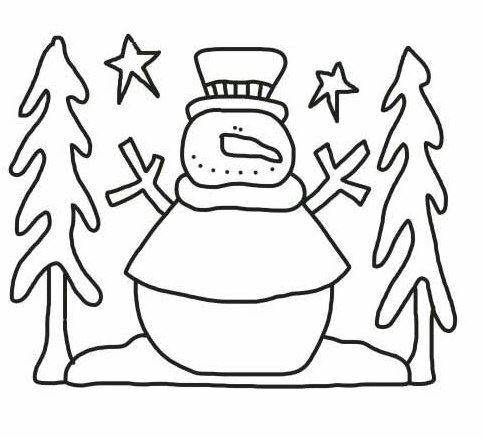 DIY snowman template in black and white line art. Snowman in the wilderness with 2 trees, stars and snow.